Last night was our typical Monday night. My wife was at the dance studio with our youngest daughter until 7:30 and I was at the skating rink with our oldest daughter for part of the evening as well. As a result, we needed to figure out something simple for us to have for dinner and ultimately decided on a frozen pizza. I have a couple cheese pizzas in our freezer already but, since my daughter and I were across the street from the grocery store anyway, I decided to stop there and pick out something with some toppings and ended up buying a Palermo's King Cheese Supreme Pizza. This was actually my first time trying this particular pizza. I've seen it before, but never took the time to purchase it, both because it has a thinner crust and it is normally around $10. However, it happened to be on sale yesterday ($4.99) so I decided to use that as an excuse to try it. As was expected, I was less than thrilled with the thinner crust on this pizza. As is usually the case with thin crust (at least when there are a lot of toppings), the pizza slices wound up being a bit floppy and made the pizza hard to eat as a result. However, despite that, I did think the pizza was better than expected. As advertised on the packaging, there was quite a bit of cheese on this pizza. 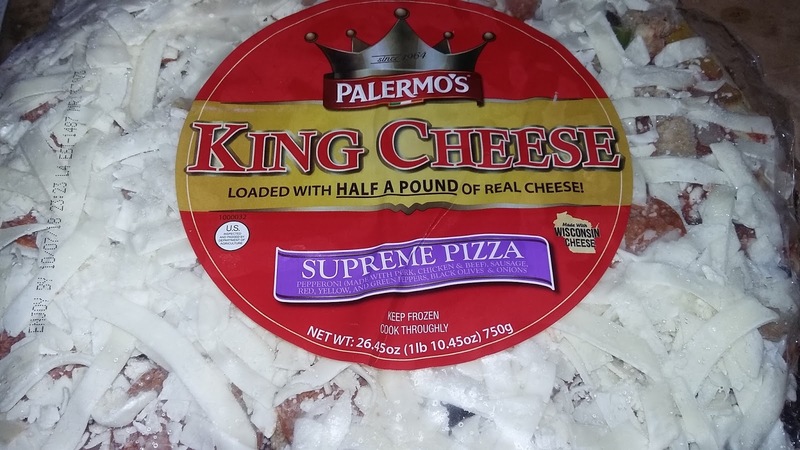 This did make it seem a bit more worth the money (at least at the lowered price) than many other frozen brands and made the pizza much more filling than expected. My wife and I can usually go through a pizza this size with no issues. We had three slices left. 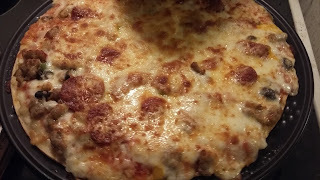 I also thought the pizza had a good blend of seasonings on it. The sauce wasn't too spicy but there were still enough seasonings to make in noticeable. The same could be said about the sausage as well. If I were to change anything about this pizza (other than having a thicker crust), I think it would be adding a few more toppings. They seemed to be used a bit sparingly. At the $4.99 I paid yesterday, this probably wouldn't have been that big of a deal. But, at the much-higher regular price, I don't think I would have considered the quantity acceptable, even with the large quantity of cheese. Final Opinion: This proved to be a decent frozen pizza selection. I'm not sure if I would pay full price for it. But, if I found it on sale again, I would consider buying it.